In 2018, Facebook will open a new office in London that will create 800 new jobs in the UK. Before the end of 2018, close to 2,300 people will be working for the social media giant across the UK. 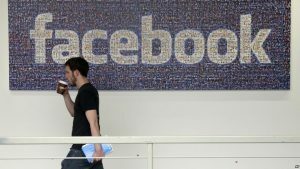 The new office will be the biggest engineering hub for Facebook outside the United States and will open during the tenth year the company has been in the UK. Nicola Mendelsohn the Facebook Vice President for Europe, Middle East and Asia, said the social media king was committed more than ever to the United Kingdom. She added that the engineering excellence and entrepreneurial ecosystem made the UK an ideal location for tech firms to expand. The Rathbone Place, which is seven floors high, and close to Oxford Circus in the center of London, will accommodate engineers, developers, and sales and marketing teams. The building will house as well a dedicated incubator area for startups, known as LDN-LAB. Startups based in the UK will be invited to participate in programs that last three months designed to help give their business a kick start. Experts at Facebook from different disciplines that include engineering partnerships and product will work with the startups as part of the new initiative. Julian David from techUK, which represents more than 950 tech firms based in the UK, was pleased with the arrival of a company like Facebook investing London even with uncertainties due to Brexit. Chancellor Philip Hammond commented that it was a sign of confidence that Facebook has in Britain regarding the decision the social media company made to expand into London. Hammond added that the UK was not just the best place to begin any new business; it was also a great place to expand one. The new LDN-LAB will be looking for between five and six startups to become a part of the first program with applications beginning Monday. Facebook experts hope to support 20 startups during 2018. The decision by Facebook to expand in London has come after the opening by Amazon of new headquarters this past summer where it announced it would increase its staff in the office to 900 and expected to expand the workforce in the UK to 24,000 before the end of 2017. Google confirmed as well its plans to expand with a new office in the capital of England and create over 3,000 new jobs. Sadiq Khan the Mayor of London said the 800 new jobs and emphasis on engineering by Facebook shows that London is still on the leading edge of worldwide innovation.